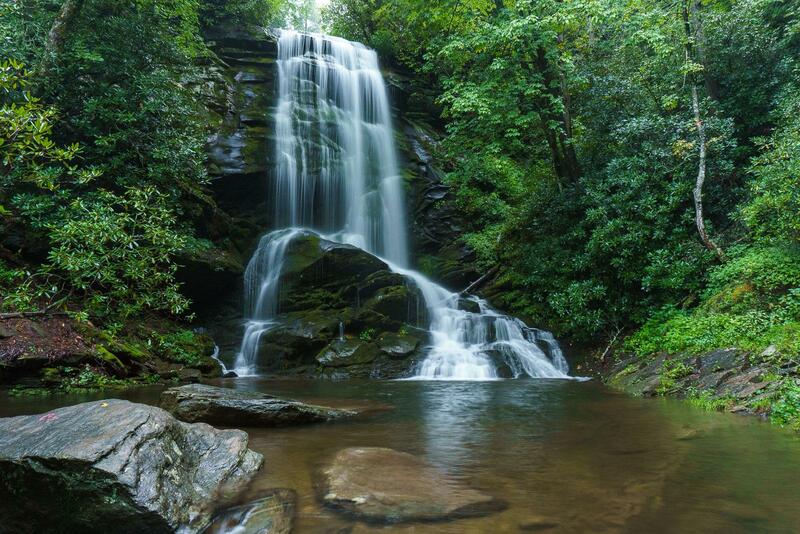 There is currently no safe public access to this waterfall, but that is likely to change with the upcoming new trail proposed by the Forest Service. This is (luckily) a high priority for them, so I'd expect it in the next 1-2 years (as of summer 2016). The Catawba Falls "trail" technically continues up the right side of the lower falls to a precipitous path to the base of the upper falls. However, the way is extremely steep, slippery, and dangerous, and it's located right next to the lower falls. It's steep almost to the point of technical rock climbing. The good news is, no reports of injuries have been made on the trail to the lower falls, and the Forest Service is planning a staircase structure leading to the upper falls, which should make them vastly more accessible. According to a quote from District Ranger Nick Larson in the Asheville Citizen-Times, work on this is scheduled to start in Winter 2018. Until then, enjoy our photos. 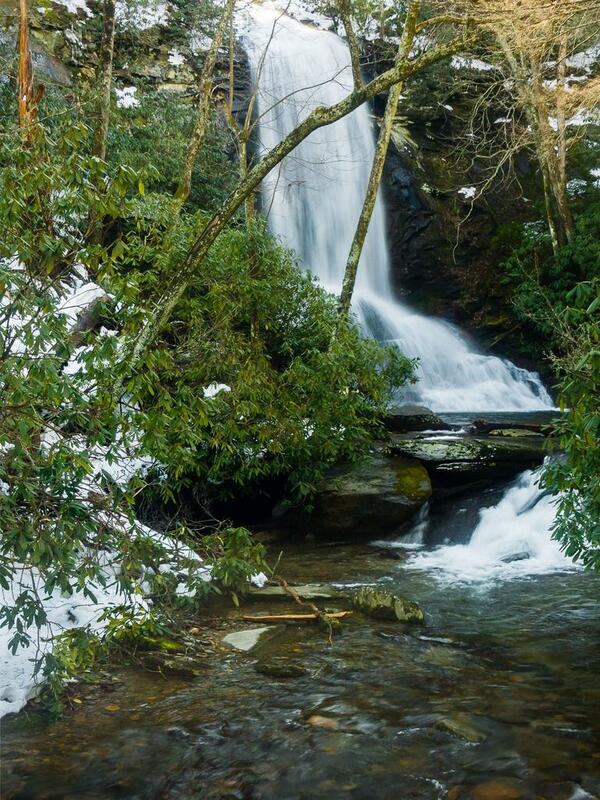 Upper Catawba Falls in winter. 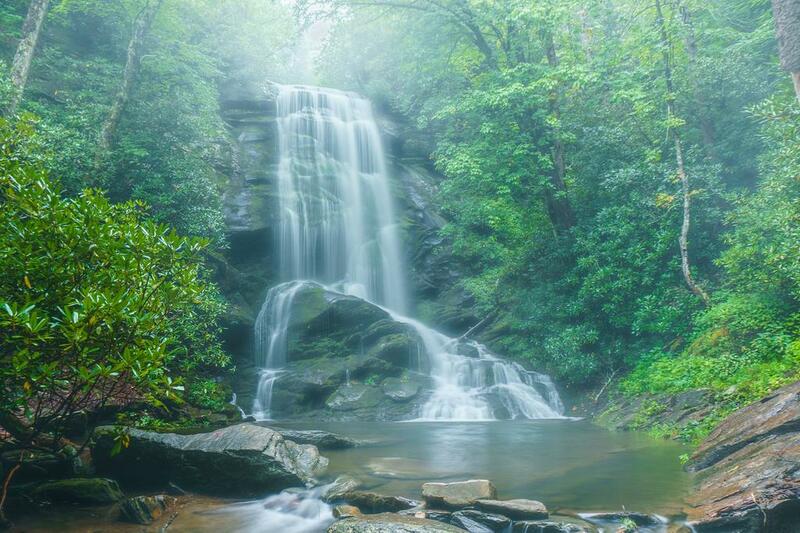 Upper Catawba Falls in foggy conditions after a good summer rain.